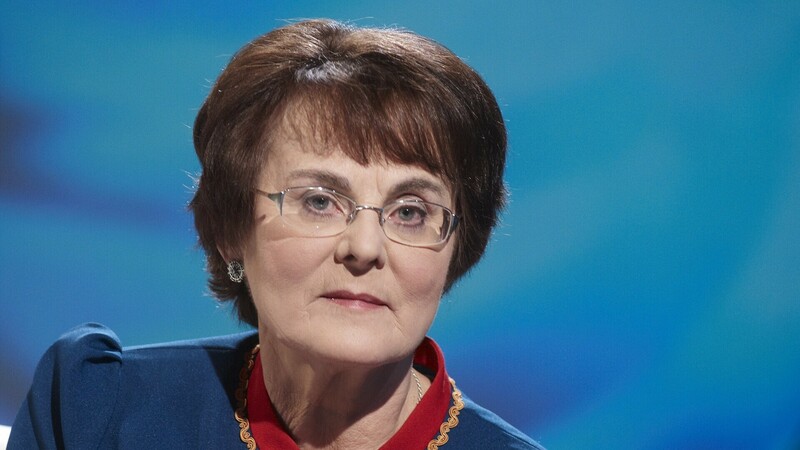 The plan of the government coalition being established by the Centre Party, Isamaa and the Conservative People's Party of Estonia (EKRE) to write referendums into the Constitution would change the current state order and balance of powers, according to Liia Hänni, a former politician and member of the Constitutional Assembly and one of the authors of the Constitution of Estonia. "The concern is that if we introduce referendums and decision-making powers outside of representative democracy, we would be introducing to our legal order the possibility of various decisions contradicting one another," Ms Hänni told ERR. EKRE leaders have announced that the new coalition intends on amending the Constitution to include the opportunity for referendums that, if exceeding a certain threshold, would override even Riigikogu decision. It is by this means that EKRE hopes to carry out those of its promises that get left out the coalition agreement or would not be supported by the Riigikogu, such as the repeal of the gender-neutral Registered Partnership Act. Ms Hänni believes that such a change would generally affect the stability of Estonia's constitutional order. "This was precisely why the Constitutional Assembly did not include referendums when drawing up the draft Constitution," she explained. "Concerned specifically about the fact that a referendum could take a political battle beyond the frames of representative democracy and cause a situation in which we as a society are faced with choices that are difficult to reconcile with the legal system." A law adpoted by the people via referendum could end up in a special position within Estonia's legal order, one that would not be possible to change later, she noted. "It's no coincidence that the right to call a referendum does not exist on the constitutional level," Ms Hänni continued. "The question is, what place would these laws which were approved with a public vote, so to speak, occupy within Estonia's legal system? What happens when a bill is incompatible with the Constitution?" In addition, she added, there has been a shift in recent times toward more evidence-based legislation — that each law would be preceded by an impact annalysis regarding what its social, economic or environmental impact would be. "How does a publicly initiated bill fit in here?" the former politician asked. "Does that require an impact analysis as well? All of these questions deserve to be addressed. In any case, we need to be able to answer themm before this idea can be taken seriously." Asked what the thresholds should possibly be fore public initiatives and referendums, Ms Hänni stressed that this was beside the point. "For me, thresholds aren't very important at all," she said. 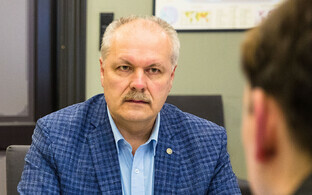 "What's most important is that according to these proposals, the Riigikogu could be bypassed. In other words, if one political force ends up in the minority on a matter of political debate, [by using a referendum] they can address their politics directly to the people and seek the public's approval of it. We can all imagine the kind of political fight this would turn into." According to the author of the Constitution, the core of EKRE's idea seems be that it is not the Riigikogu that takes responsibility or makes decisions, but rather that policy can be decided outside of parliament. "This is the point where we should seriously consider what would start happening in society," she said. "And will start to happen is the election campaign that has taken place and the current state of society." "In this complex world, what we need is meaningful debate, not a mechanical majority," Ms Hänni said. "And both in the Riigikogu and even more when we talk about referendums. We have examples within eyeshot of what it actually means when the public is asked about issues that are so complicated and that require one to thoroughly consider what would happen." In the nearby UK, as she hinted, the people voted on 23 June 2016 to withdraw from the EU, triggering the as of yet still incomplete Brexit process. While the Constitution of Estonia does not explicitly list the right to referendums, that does not mean that Estonia lacks the right to call them, the former politician stressed. "Referendums are currently already possible in Estonia — one has to gather 1,000 signatures and then they can make all kinds of suggestions to the Riigikogu, including to call a referendum," she explained. "There is even an online platform for this — rahvaalgatuse.ee." This right was legalised with an amendment to the Riigikogu Rules of Procedure and Internal Rules Act a few years ago, she added. A total of 38 collective appeals were submitted to the Riigikogu during the term of the outgoing XIII Riigikogu, 36 of which were fully processed, and two of which will be up to the new Riigikogu to complete. Ms Hännni recalled that during the times of the Constitutional Assembly, someone had even asked that if we have 101 MPs, each of whom has the right to introduce legislation, why would it be necessary to include referendums in the Constitution. "If it is a reasonable idea, I think that every MP would be very happy to introduce it for discussion in the Riigikogu," she said. "Every remotely worthwhile idea should reach the Riigikogu in one form or another." 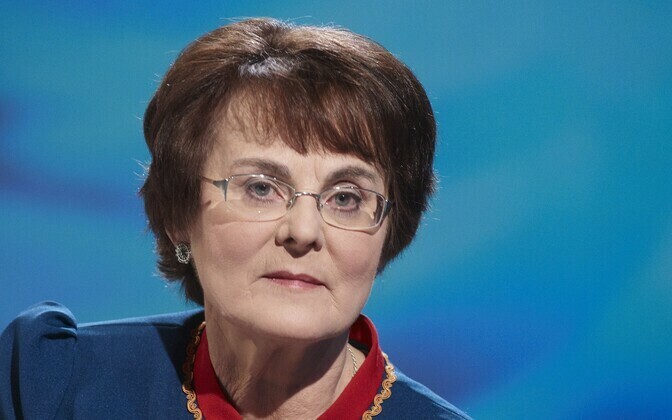 Despite the fact that public initiatives and referendums should not be set out according to EKRE's wishes, it is still worth consulting with the people, Ms Hänni conceded. "I do believe that this is a good point, that the public should be consulted much more regarding various political issues," she said, adding that mechanisms for doing so already exist. 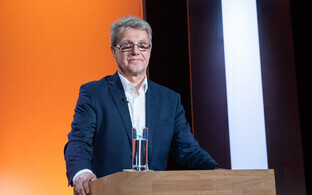 Great caution should nonetheless be taken when making changes to the Constitution, Ms Hänni reiterated, adding that the people as the supreme public authority can only act within the parameters of the Constitution. "The people are the highest public authority, which exercises authority within the framework of the Constitution," she said. "It is not the case that the people would somehow exercise their authority extraconstitutionally. "Of course the Constitution can be changed if we find that the instruments of the people's power in the Constitution are insufficient," Ms Hänni continued. "But my concern is that we also have to discuss those consequences, and those risk factors, that we weighed very thoroughly when drawing up the Constitution. Have these risks disappeared now, or are we just going to attack our Constitution based on some current situation and believe that what we are doing right now somehow increases the people's power? Might we push our state order into some sort of risk zone, where societal unity and the functioning of the Constitution are significantly disturbed?" The Constitutional Assembly was a representative assembly established for the purpose of drawing up the new Constitution of the Republic of Estonia.